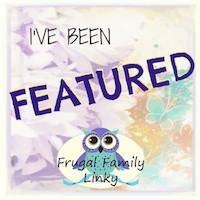 Welcome to this week's Frugal Family linky! 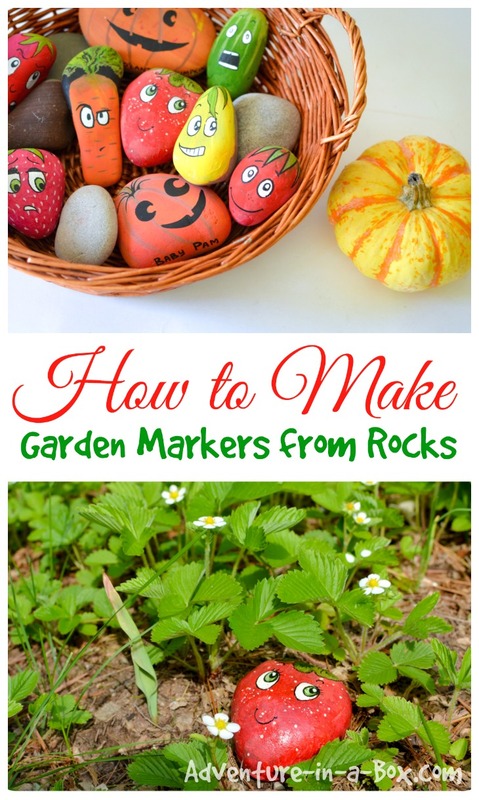 Last week's link up was full of wonderful free and low cost ideas - I can't wait to see what this week will bring. 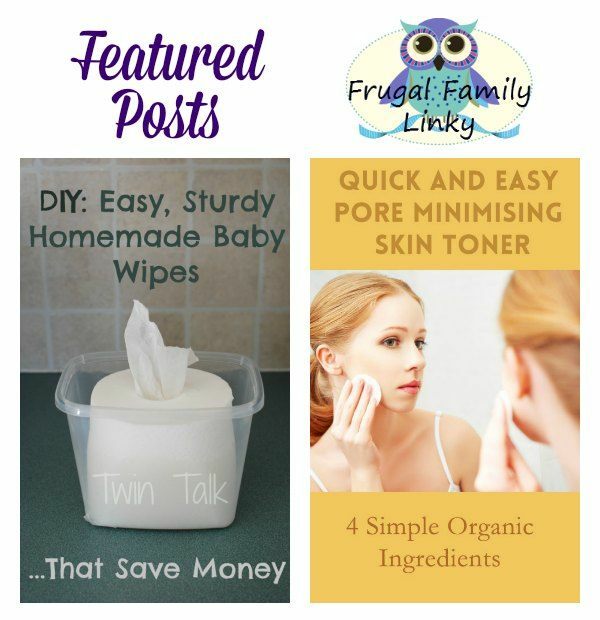 This week's features are two really great DIY beauty & baby care items. Beauty and baby products can really get expensive - going DIY can save a lot of money. I also love the idea of making these products yourself so that you are aware of the ingredients and reducing your use of chemicals. Twin Talk shared a way to make Easy & Cheap Homemade Baby Wipes. I actually have all of these ingredients at home already so I'm going to try to make these this weekend! Whole Food Home brought us a Quick And Easy Pore Minimising Skin Toner with only 4 organic ingredients! You have to check this out - it's brilliant. Thank you to everyone who shared frugal ideas with us last week. Now some exciting news from The Frugal Family Co-Hosts! We are thrilled to announce our new 'Voted Top Blog Post'! and an exclusive monthly badge to display for that blog poster as well. The 'Voted Top Blog Post' for the month is awarded to the one post that stood out for being not only Frugal but also for its ingenuity and its simplicity too. 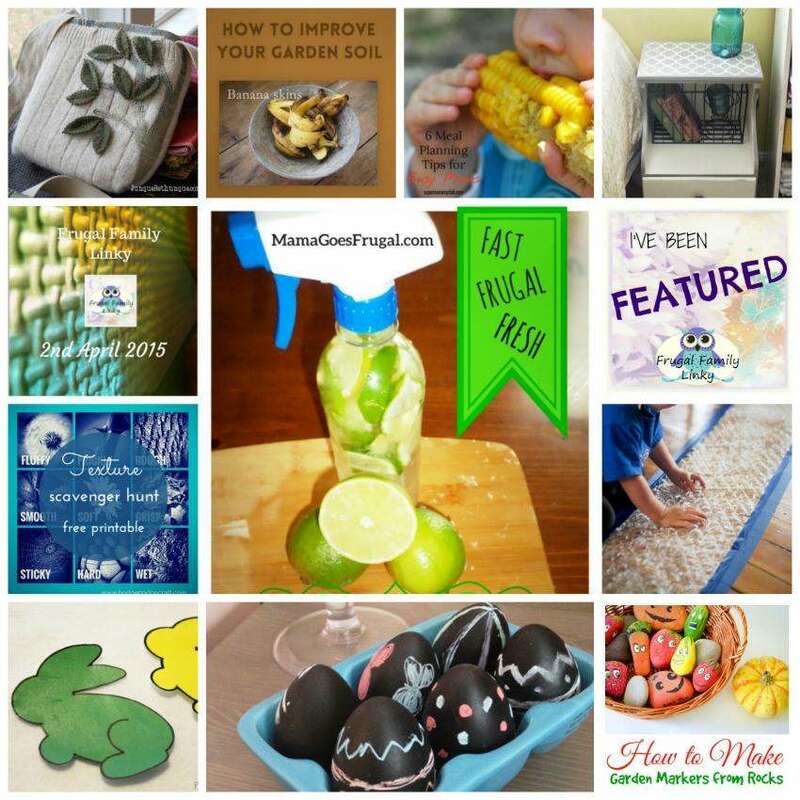 The Voted Top Blog Post for March 2015 Mama Goes Frugal for a wonderful DIY Lime Kitchen Spray ideal for Spring cleaning! This month we are launching our new monthly 'round up' and we will be sharing our top featured posts from all the participating co-hosts. These featured bloggers will be invited to display the exclusive 'I've been featured on' badge on their blogs! Every month we will be featuring one of our co-hosts to let our blog readers get to know us better. Hi! I'm Helen and I run the Frugal Family Linky with my co-hosts on a weekly basis. I am quite lucky as far as being frugal goes having learnt lots of thrifty things from my parents. My mum taught me to cook at an early age and by the time I was a teenager I was cooking the family evening meals twice a week. I am so glad that she took that time to show me some basic cooking skills. this means that most of the time I make the family meals from scratch! Last September I set myself the Frugal Family Challenge of living on £100 a month for food shopping only, feeding two adults, one teenager and a 4 year old daughter. It was a challenge but I was able to keep to our budget on most occasions. This year I am looking to grow more food and I am hoping grow some organic crops in containers. We will continue to support the local plants and wildlife through sympathetic and companion gardening that will hopefully attract the bees again this summer. You can find out more about the Frugal Family Challenge by clicking here. You can also find out more on my website Witty Hoots, on the Witty Hoots Facebook page and on Witty Hoots Twitter as well. Don't forget to check out the links to all these wonderful frugal posts and of course if you write a blog then feel free to join in with our weekly Frugal Family Linky.